a lot of females mums especially enjoy cooking and or baking. 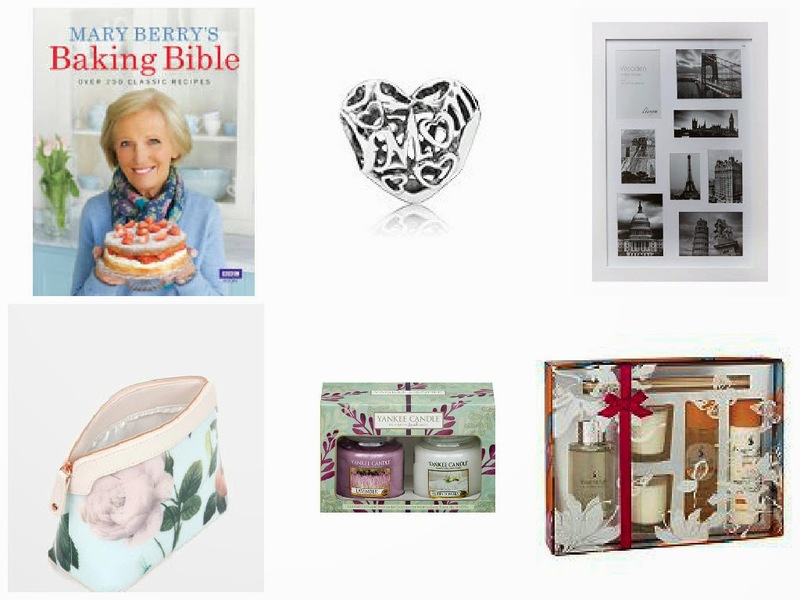 This would be a lovely gift for a mum who loves to bake as Mary Berry is a well knows legend in the baking world and she is one of the judges on a very well knows show called The Great British Bake Off. Not only would this gift get a lot of use but it is also very affordable. This would be a beautiful addition to your mothers charm bracelet and it would also be very sentimental and s females are big on all of that soppy sentimental stuff this charm would definitely brig a tear to your mums eye. Although it isn't as cheap as chips it is still very affordable. This is the most sentimental gift idea of them all and once again very affordable. Not only is this a very affordable gift idea but it is thoughtful because it enables you to have the freedom to personalize to your mums taste...all you will have to do is pick your mums favourite pictures and you're set. She would definitely love this one. Yankee candles have to be the most popular candles on the market. You are sure to see at least one Yankee candle in a household. This gift set is a safe option, if you know what scents your mum likes to burn in the house she will definitely appreciate a Yankee Candle because even though they are extremely popular they are rather pricey for just a candle. A lot of mothers get stressed out having to deal with all of the household chores and bills so they all need some down time to themselves to relax. Bath sets are very popular as mothers day presents so instead of choosing the cheapest option in your local supermarket go for something a little more luxurious but still has the small price tag. Sanctuary spa products are so nice I have personally used them myself they have a mature scent and are very relaxing to use. So there you have it my affordable mothers day gift ideas. I hope that you found this useful and that you enjoyed this post. don't forget to share, comment and follow.